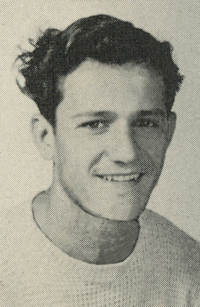 Obituary – Edwards, Donald Lee « Perry High School Alumni Association, Inc.
Football 46-48, Football Co-Captain 47-48, Annual King 46-47, D. E. 47-48, Vice-President of Junior Class 46-47, Basketball 46-48, Baseball 46-48. 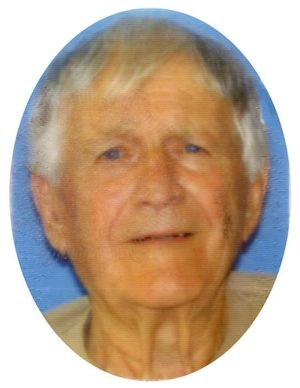 Donald Lee “Pud” Edwards, 85, of Perry, Oklahoma, was the son of Roy Edwin and Cynthia Almeda (Woodrum) Edwards. He was born on July 20, 1927 in Perry, Oklahoma and died Wednesday, December 26, 2012 at Green Valley Nursing Home, Perry, Oklahoma. He was a carpenter for over forty years. Donald enjoyed working on cars, fishing, racing go-carts, going to car shows, and drag races, but most of all he loved spending time with his family and friends. On January 7, 1956 Donald married his sweetheart and best friend Doris Irene Holzrichter in Perry, Oklahoma. He served our country in the United States Navy as a member of the Seabee’s (Construction Battalion). Donald was a member of the First Christian Church, American Legion, and Carpenters Union. Graveside services will be 2:00 p.m., Saturday, December 29, 2012 at Grace Hill Cemetery in Perry, Oklahoma. Rev. Martin Foster will officiate. Services are under the direction of Brown-Dugger Funeral Home. Donald is survived by his wife Doris Edwards of the home, three daughters, Terrie Malget and Tonda Harman of Perry, Oklahoma, Tracie Edwards of Stillwater, Oklahoma; two grandsons, Matthew Warren Malget and his wife Alicia of Wichita, Kansas and Titus Heath Harman of Perry, Oklahoma; five great grandchildren; one brother, David Edwards of Perry, Oklahoma; and numerous nieces and nephews. He was preceded in death by his parents Roy and Cynthia Edwards; three brothers, Steven Edwards, Robert Edwards, and Thomas Edwards; one sister, Dorothy Berry.